I'd like to play a short word association game. If I say "IPA," what immediately comes to mind? Perhaps your mind first went to England: the birthplace of the IPA. Maybe you thought of the Greene King IPA or Bitter and Twisted by Harviestoun. Maybe your mind went to an excellent cask ale and that exceptionally smooth mouthfeel. Or maybe your mind drifted to the United States and a full bouquet of citrus hops. Did your mind go to the West Coast? Maybe Lagunitas or Stone popped to mind, or perhaps one of my personal favorites, the Balast Point Sculpin' IPA or Maine Beer Company's Lunch. Maybe you thought of the bigger IPAs: Pliny the Elder or Dogfish Head 90. Whatever you may have called to mind, I would wager you didn't first think of Germany. Despite being a one-time beer powerhouse, Germany is rather new to the craft beer market. Though exceptions abound, the palate of the average German beer consumer tends towards mild Pilseners as opposed to a hoppy, bitter ale. This largely explains why Germany has a very limited selection of imported IPAs. Flying Dog, Brooklyn Brewery, and Anderson Valley are the most easily available American IPAs, but these tend to be quite expensive and not always fresh. And considering how few American IPAs actually sell, there isn't much incentive for either the country to import or the brewer to export any more. And yet, there is a growing population of German beer enthusiasts who are starting to find the beauty of a hoppy American-style ale. Though the numbers are far too small to largely influence the macrobrew market, these groups are beginning to shape the German craft beer market into an exciting new direction, and several German brewers have begun to interpret this classic style. With the IPA being so new to Germany, I was very curious to see how these brewers would reinvent the style. However, unlike the Belgians who combined the citrus/bitterness of American hops with their unique fruity yeast strains to invent the tremendously popular Belgian IPA style, the bulk of German brewers I encountered didn't create a new style at all, but rather tended towards cloning the American IPA, most often using American hops and traditional ale yeasts, and dry hopping with Cascade. Yet while the final result seems less original on paper, the flavors of these beers are anything but. Despite being heavily modeled on the American version, with few exceptions, these beers would never be mistaken for an American or English IPA as each beer boasted some unique combination of flavors – albeit with varying success. Additionally, there seemed to be a preponderance of imbalanced flavors, with the majority of beers heavily over-emphasizing the bitterness of the hops. What follows is a short list of some of the most notable German IPAs I tasted this past summer. Keep in mind that this list is far from conclusive, but is rather a basic introduction to this young style. 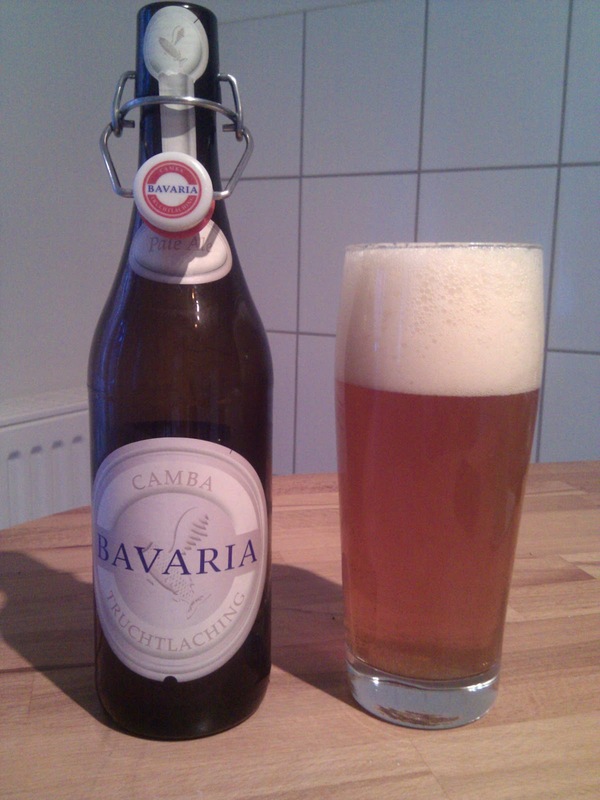 Camba Bavaria Pale Ale (5.1%): OK, technically not an IPA, but the flavors of this beer far more resemble an IPA than a Pale Ale. I am assuming they dry-hopped this beer a lot, because immediately upon popping the top off this bottle, the room was filled with an incredible citrus hop aroma. Not overly bitter, this beer is beautifully balanced in the mouth with lots of orange juice, orange zest, and a little bit of spice. If I were blindfolded, I would swear this beer was brewed in the West Coast of the United States. Easily the best German IPA I have had. BrauKunst Keller Maya IPA (6.4%): Among the more interesting breweries I have encountered in Germany, BrauKunst Keller is a German nanobrewery that brews 50 litre (13 gallon) batches of experimental beers. Maya's nose is full of pine, citrus, and resin and immediately calls to mind the Pacific Northwest. Not quite as well balanced as the Camba Bavaria offering, Maya IPA is front-loaded with bitter hops and has a nice caramel/toffee malt finish. Though a tad one-dimensional, it is a very well made IPA. Fritz Belgian-Style IPA (7.5%): This probably gets my award for most unusual German IPA. 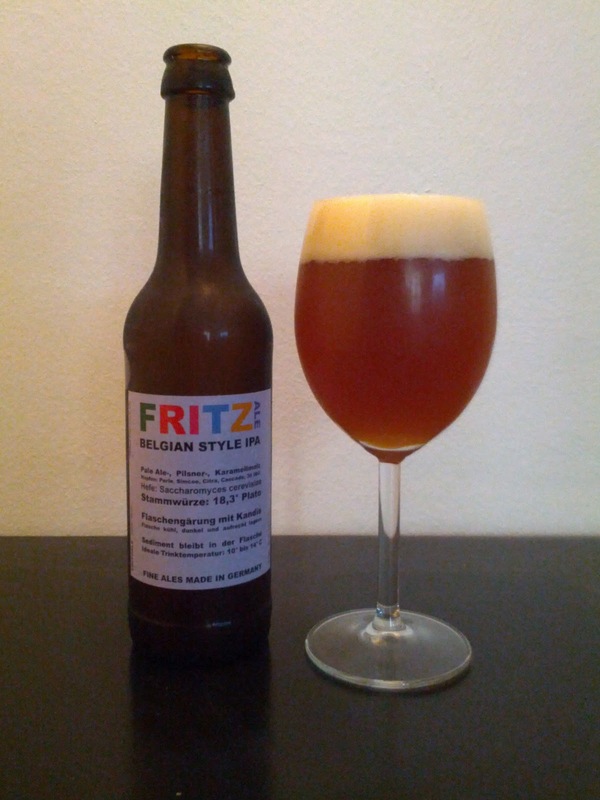 For as uncommon as American or English styles are amongst German brewers, Belgian styles seem to be even less common. Thus, a German brewer releasing a Belgian IPA immediately caught my eye. Lots of orange candy in the nose, this beer has a most bizarre combination of flavors: a unique blend of sweet (honey) and sour (sour cherries), the beer also has a strong grapefruit/Tang flavor. The grapefruit and sour cherries seem to clash with each other more than they work in harmony, but the sour kick gives it a tremendously refreshing bite. 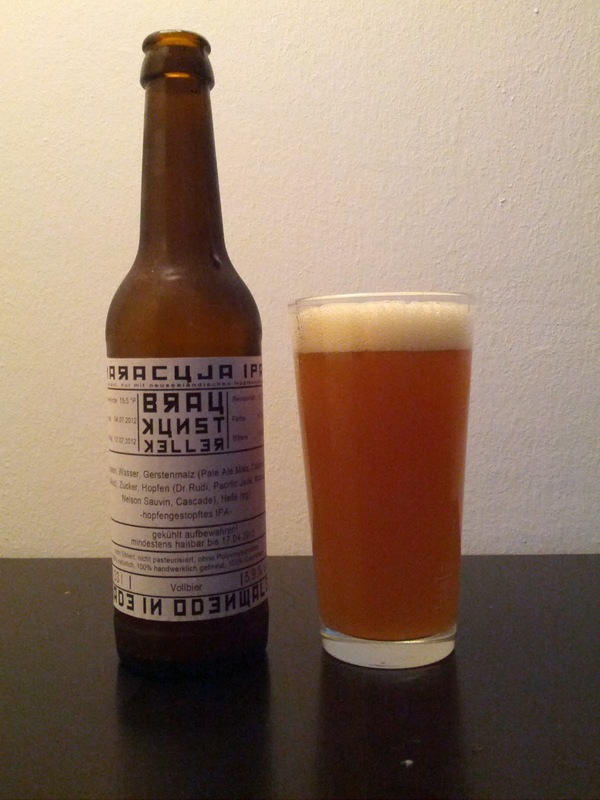 BraufactuM Progusta (6.8%): Aromas of sunny hops, freshly cut grass, bits of fruit, and spruce. Lots of fruit flavors with orange, grapefruit, and banana. A tad sweet, syrupy, and expensive (€4+ for 11 oz). BrauKunst Keller Maracuja IPA (5.9%): With aromas of spruce and bubblegum and a slight rose hip flavor, Maracuja is a mild and very drinkable IPA that blends Dr. Rudi, pacific Jade, Motueka, Nelson Sauvin, and Cascade hops. An unusual – but tasty – combination. 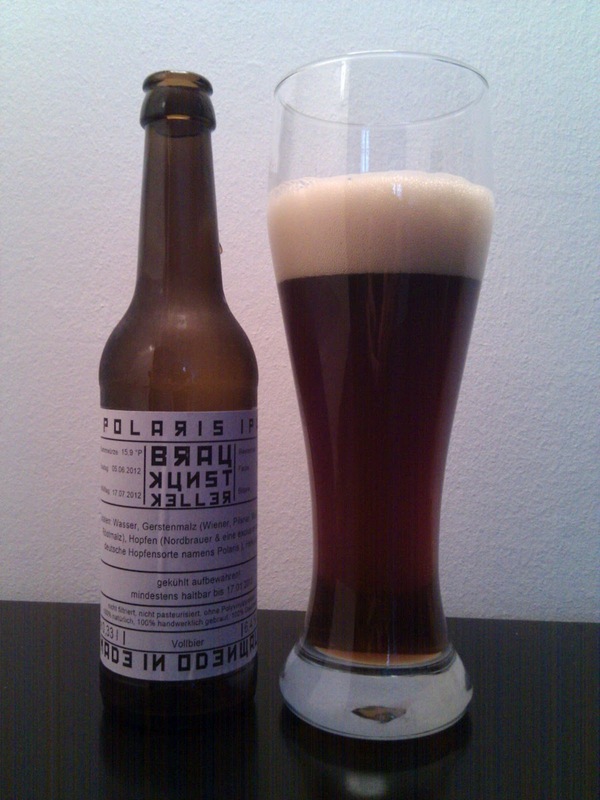 BrauKunst Keller Polaris IPA (6.2%): Is this an IPA? Though it is brewed with the "new and exclusive hop" Polaris, one has to wonder as it pours a very dark and muddy black and lacks any real hop aromas or strong hop flavors. Despite the surprising color, this is one beautiful pour with a luscious head that lingers to the last sip. An excellent roasted barley flavor blends beautifully with a chocolate nose. Perhaps it would be better labeled as a hoppy Porter, but regardless, this is one fine beer. 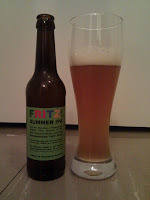 Fritz Summer IPA (5.3%): A fruity a bubblegumy nose with hints of pine resin, there is a nice up-front sweetness in the mouth. A bitingly bitter finish with lots of pine and malt, it is a little harsh, but very pleasant. Brewbaker Berliner Art Double IPA (9%): A solid and well balanced DIPA, there is a full aroma of raspberry, honey, syrup, and subtle citrus. Despite the 120 IBUs, the beer is not overly bitter, and the hops lend an almost sweet character. 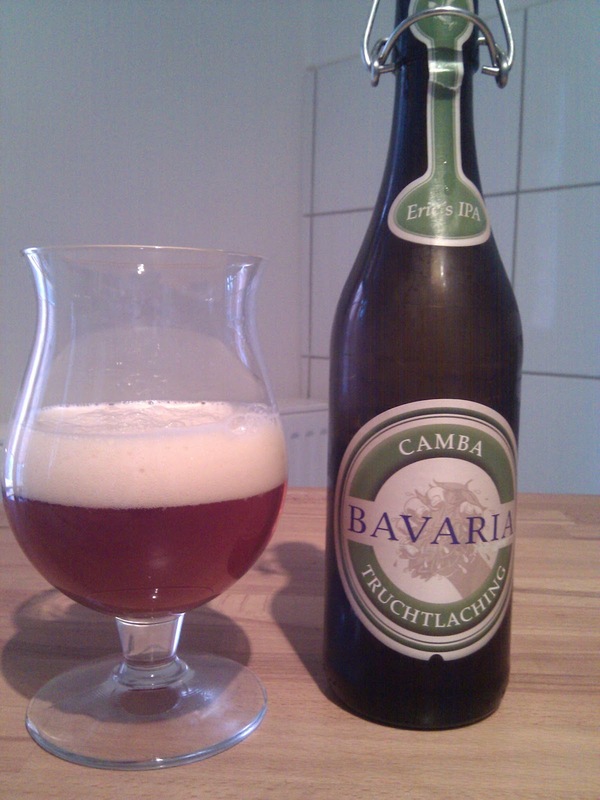 Camba Bavaria Eric's IPA (8%): Strong grapefruit aromas and flavors of pine and fruit, the beer is smooth bat a bit syrupy. It seems mislabeled and drinks much more like a double IPA. 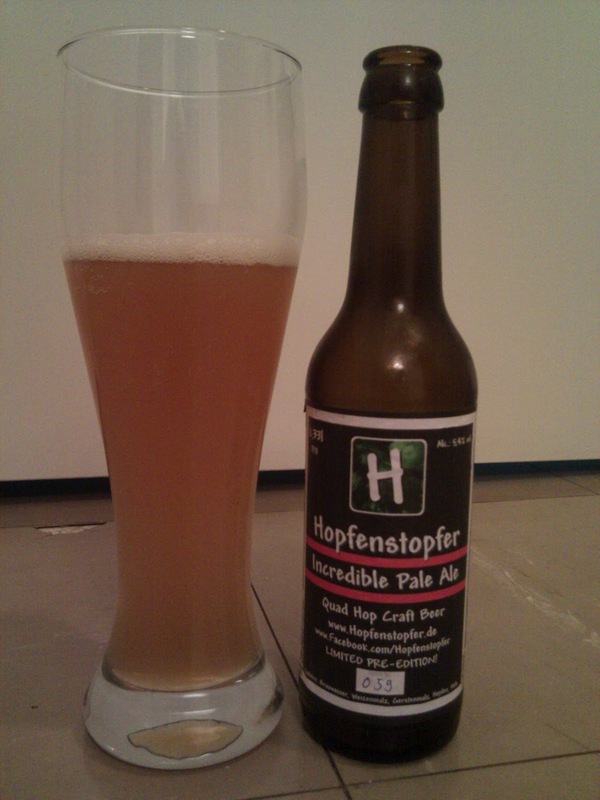 Häffner Bräu Hopfenstopfer Incredible Pale Ale (5.4%): With sweet, candy-like aromas of artificial citrus, the mouth is drier than expected. A tad imbalanced with a harsh hop bitterness that mellows as it sits, there's also subtle notes of caramel malts in the background. Brewbaker Berlin IPA (5.5%): Slightly watery with absolutely no head and a slight soapy character, Berlin IPA has mild citrus aromas and a very under spoken bitterness. 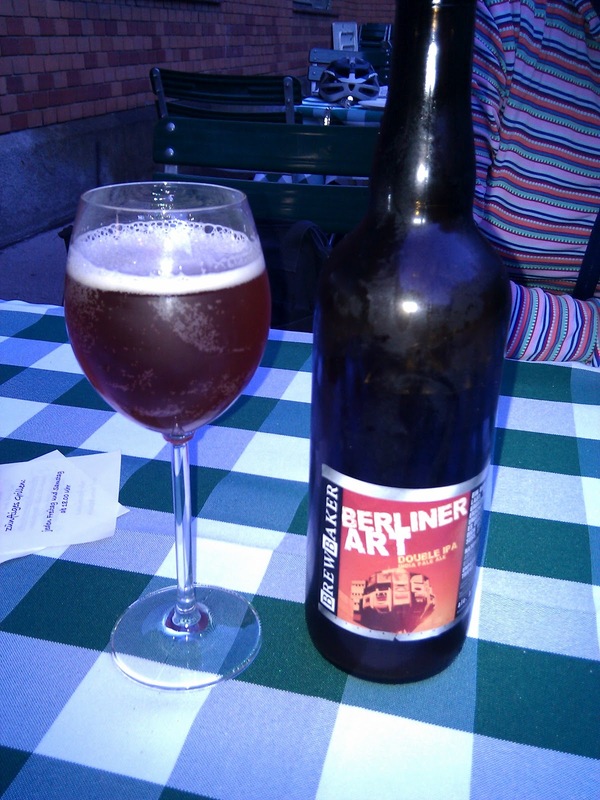 Very drinkable, and a unique find for Berlin. Schönramer Bavaria's Best IPA (8.2%): Syrupy and medicinal, this is a very mild IPA with a subtle flavor of citrus hops. 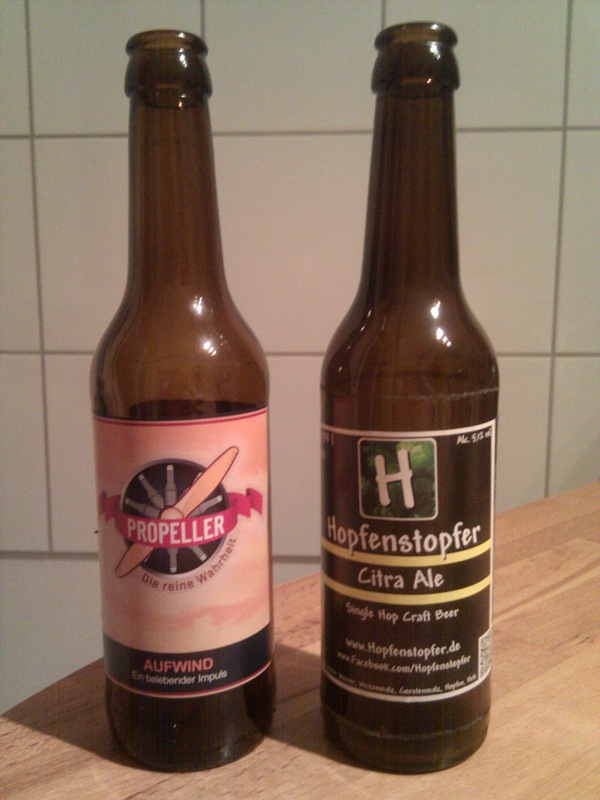 Propeller Aufwind Double IPA (6.5%): Almost no hoppiness to speak of, the beer is overly sweet with strong bubblegum and tropical jugyfruit flavor. Blech. Schoppe Bräu XPA (6.2%): Disgusting and awful, it has aromas of pickles, artificial chocolate, vinegar, and sour orange juice. Pouring with a tan head, the beer is pungent and sharp. Nearly undrinkable. 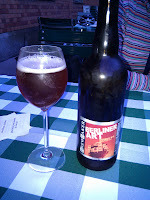 Häffner Bräu Hopfenstopfer Citra Ale (5.6%): Though it scores a 91 on RateBeer, I tend to agree with one reviewer from the site when he equates it to "drinking lemonade from a urinal." Enough said. There's no doubt that Germany is a great destination for the beer tourist. And while I would hope the tourist tastes many Weizens, Pilseners, and Bocks, I would encourage the tourist to branch out and taste some of these great new examples of the German craft beer market. It's still young and in its infancy, but the notion that the Germans are incapable of brewing a good IPA is just plain wrong. 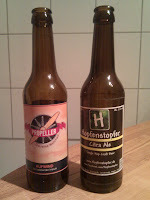 If you have tasted these beers or know of any other great German IPAs, let me know! You are welcome to add your tasting notes to the comments below; I'd be curious to learn what beers I may have missed. You've found more IPAs than I have after living here for 8 years. In general, they just don't tend to get it quite right, do they? It's a really tough market though for them though, given the domestic beer culture and attitudes. Will have to look into the Braukunst Keller stuff as well as CAMBA, which I've tried at a couple of industry conventions,but haven't been impressed with. Never seen an IPA from them though. Nice people though. Would like to see someone brew a good *half*-IPA, then I wouldn't have to brew my own. Every week. Definitely try to track down the Braukunst Keller beer. He brews a lot more than just IPA, and everything is pretty well made. It's a little hard to track down as he makes so little, but if you're near Berlin, it is sold at the Berlin Bier Shop. Sorry you dislike my beer. When I read your description it seems it is spoiled. As my beers are non- filtered and not pasteurized this can happen from time to time depending on the storage time and conditions. If you are interested I can sent you a fresh one and you can make up your mind about it. As I was sipping it, I certainly wondered if it might have been spoiled or if some unwanted bacteria got in somehow. I would certainly be more than willing to give it a second chance and try a fresh one, except that I've just arrived back in Boston and am not getting back to Germany until sometime in 2013. Hi there, I strongly recommend giving the XPA another try. There is one major problem most of the smaller craft brewers share: Quality Assurance is hard ;). I can not share all of your opinions here, but that's best discussed over a good beer. So make sure to give the guys from www.bier-index.de (that's us ;)) a short note if you should come to Berlin in 2013. 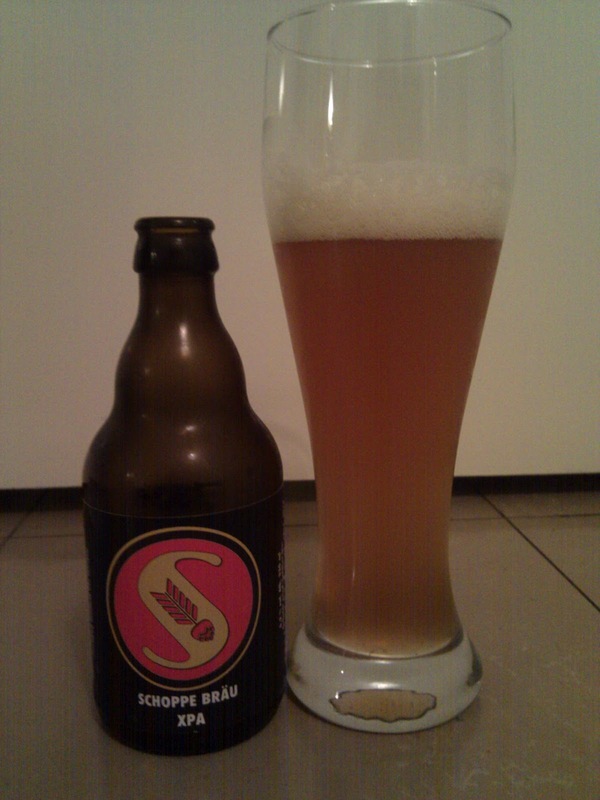 We can visit Schoppebräu together to get a fresh beer from cask. 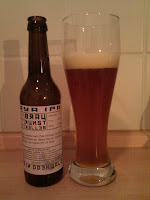 As you wrote about creating a country specific variety of an IPA here's one recommendation: Crew AleWerkstatt IPA. We actually announced this beer (it was the Pale Ale back then, but it holds true with the IPA as well) German Style Pale Ale. 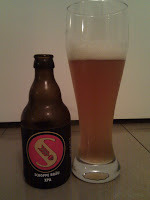 It is a somewhat lighter version in complexity while carrying along the bready toast flavor typical for some German beers. You should definitely try these. I'd like to know if you too think this might be a German interpretation of the style. I wish I had known of you while I was in Berlin! What a great website! I will certainly let you know next I'm in Berlin. You're actually the second to now recommend the Crew IPA. 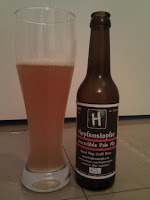 I've had their Pale and was under-impressed – though it was perfectly drinkable and very pleasant. But considering all I've heard, I'm really wishing I had found that beer!